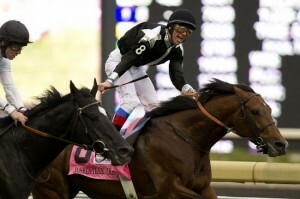 Home » News » 2013 Pattison Canadian International Stakes; Can Canada Win Again? 2013 Pattison Canadian International Stakes; Can Canada Win Again? 2013 (GI) Pattison Canadian International Stakes; Can Canada Win Again? The 76th edition of the historic (GI) Pattison Canadian International Stakes is carded for Sunday, October 27, 2013 at Woodbine on the E.P. Taylor Turf Course to be run at 1 ½ miles on the grass for $1 million dollars. This is a very historic race for Canada and one of their classic horse races. They definitely have a roster of winners worth bragging about including Singspiel, All Along, Sulamani, Youth, Chief Bearhart, Dahlia and the amazing Secretariat, who won this race 40 years ago this month. Competitors from all over the world will come to compete in the 2013 edition of this race and you’ll often see the best come from countries like England, France, Germany, Ireland, Australia and of course the United States and Canada. With a purse of $1 million to be won, you can be rest assured they will all be bringing their best game with them to Woodbine. The 2013 Pattison Canadian International Stakes is the 10th race of the day with a start time of 5:44 PM. Canada’s top turf slayer, the British bred Forte Dei Marmi, along with defending and two-time champion of the Pattison Canadian International Joshua Tree, head a field of 11 that looks spectacular and tough. Forte Dei Marmi will try to become just the sixth different Canadian-bred to win the Pattison. The last to do so was Thornfield in 1999 while the first, George Royal, was a two-time consecutive winner in 1965-66. The other Canadian-breds are Chief Bearhart (1997), Sky Classic (1991) and He’s A Smoothie (1967). Joshua Tree, with 6-1 odds, enters the 2013 Pattison Canadian International Stakes for the fourth time. The six-year-old Irish horse has already won the Pattison at Woodbine twice in 2010 and 2012. The seven-year-old son of Selkirk Forte Dei Marmi and trained by Roger Attfield enters the turf classic on a three-race win streak including the (GI) Northern Dancer Turf event last month beating his stable mate by a neck in the 1 ½ mile event, the same distance as this race. Last year’s Northern Dancer he was third behind his chief rival, Joshua Tree who he’ll face again this weekend. Forte Dei Marmi has been in spectacular form for a while now and hopefully can carry that forward Sunday. Eurico Rosa da Silva retains the mount, his first ride in the Pattison, they exit post #8. I dig the lone filly in here, Giant’s Causeway Canadian daughter trained by Mark Frostad Irish Mission, who last out was 4th behind the winner Forte Dei Marmi in the Nothern Dancer Turf on September 15th at Woodbine and prior a 5th in the Sky Classic Stakes (GII) on August 18th. She won an allowance race at Woodbine on July 24th. She has been trained very well at Woodbine the past few months and her last work was October 19th 5f in 1:01.00 breezing 2/53. She has placed but never won at the graded stakes level. 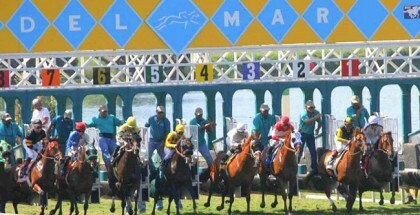 She breaks from post #10 with G. Boulanger in the saddle. Now We Can, the four-year-old son of Martillo who is trained by Nicolas Clement, brother to Christophe Clement, was on a win-streak from May, 2012 through June of 2013. 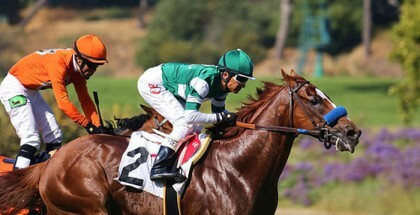 He went unraced as a two-year-old debuting May 3, 2012 and out of five starts on French tracks he won all of them on turf and synthetic surfaces and was on top of his game. Last out he was 7th at Longchamp on the grass on September 15, 2013. Prior to that he busted his five game win streak with a 9th place finish at Deauville on August 25, 2013. He will be making his first trip abroad for this race. Now We Can gets his regular rider Theirry Thulliez and breaks from gate #7. Last but not least, the Irish-bred six-year-old son of Montjeu-Madeira Mist, Joshua Tree, who won the 2010 and 2012 editions of the Pattison, makes his fourth consecutive appearance, trying to become the first three-time winner of the race. He originally was trained by Aiden O’Brien who guided him in the 2010 win and Marco Botti for the 2012 win. For his shot this year, he gets the conditioner Ed Dunlop of Snow Fairy fame, one of my favorite Euro fillies. Joshua Tree has unfortunately been winless in six starts since last year and enters this weekend off a 13th place finish to filly Treve on October 6th, 2013. Joshua Tree gets the services of R.L.Moore in the saddle and breaks from post #5. This going to be a really tough and fun race. I am rooting for the Canadians here since it’s their race to lose and in their backyard. Forte Dei Marmi looks to be the one to beat, but can he maintain his winning form? That is a tough question to answer but I wouldn’t leave him out of a wager. I would take a shot with Irish Mission, Joshua Tree and Now We Can to hit the board with him. Joshua Tree is going to need to step up into some kind of form here and not too sure I see that. However, would love to see him get a piece. 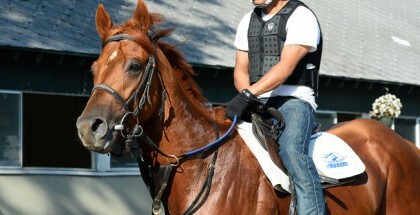 The filly will really need to bring her A game to the table and she’s been training great. My lone Euro pick coming across the pond, Now We Can has it stacked up for him too but the course and race seems to fit them here so we’ll see. Best of luck to them all, safe ride Sunday.